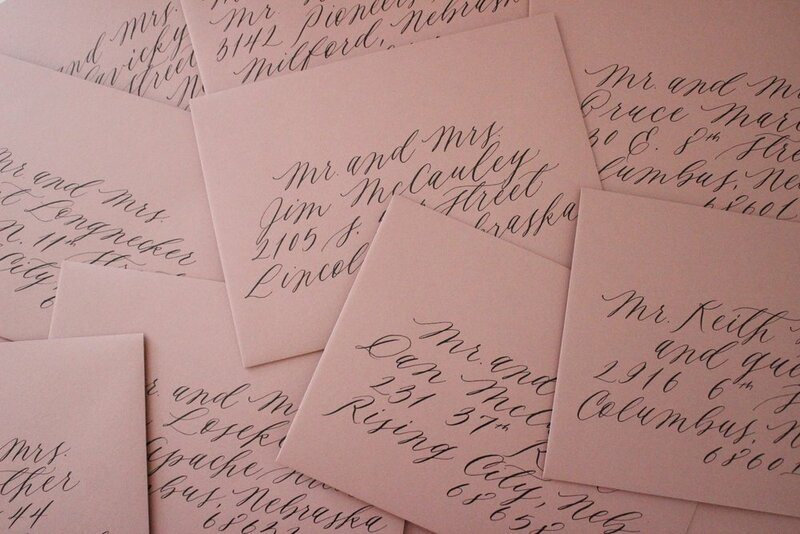 Just smitten with how these black on dusty rose envelopes for a spring wedding turned out. The wedding colors are dusty rose, cream, burgundy, and navy so these envelopes set the mood right away for their guests. I'll be sharing the entire invitation suite soon.